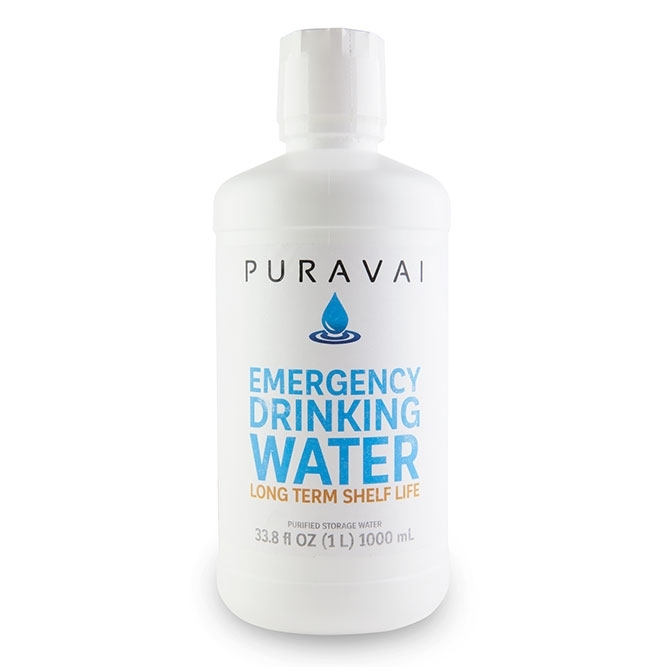 Puravai offers a 20-year warranty from the date of manufacture that covers the drinkability of your water as established by FDA standards and determined by an FDA certified lab. Puravai also covers any manufacturer’s defects in materials and workmanship in the packaging of Puravai Water. NO Seams: Induction coils used to melt a plastic seal on top of the bottle so there are absolutely no seams, and no seams means water can't get out and bacteria can't get in until you open the bottle, even decades later. Triple Sealed: Bottles have 3 levels of protection, an induction seal, a click tight lid, and a shrink-wrapping over the lid to make sure your water hasn't been tampered with. 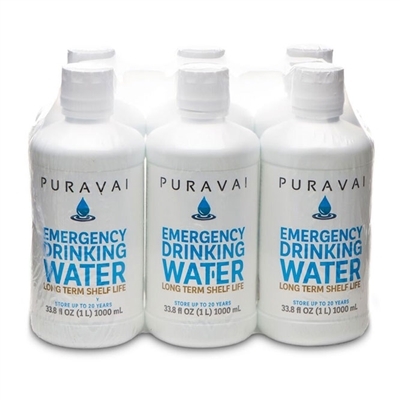 Puravai works to adhere to government and military standards as much as possible. High Density Bottles: Bottles are super thick! They're built for the unpredictability of emergency situations. You can drop, scrape, or bump them, and your water stays protected. Floats: Even filled to the brim, bottles are made to float in any water. You never have to worry about floods or dropping your water off the side of a boat. 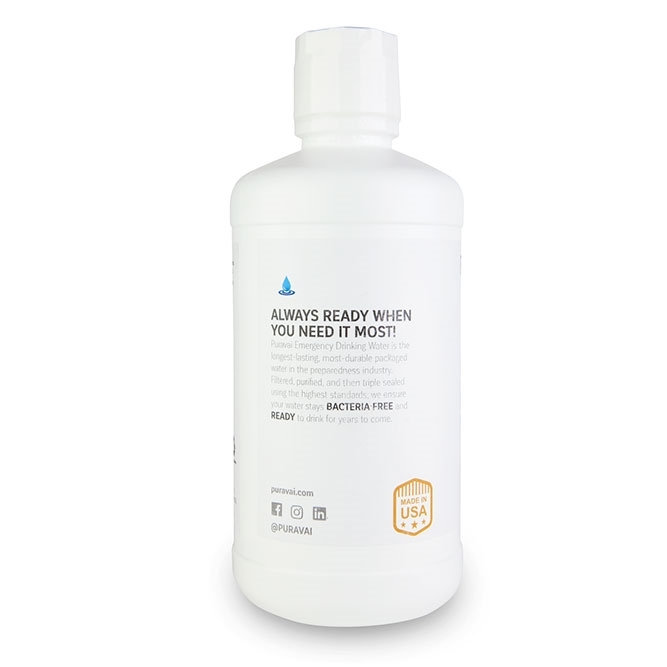 No Rotting/Rusting: Because of the high-density HDPE bottles, you don't have to worry about mildew, mold, or rust forming and ruining your water supply. Waterproof: Bottle don't rust, your water is protected against something as simple as broken pipes or even humidity in the air. Reusable: Puravai is made of the same material as U.S. military canteens and we added a lid that can be screwed on and off. So, you can drink portions of your water and close up the bottle throughout the day as well as refill your bottle again and again if needed. 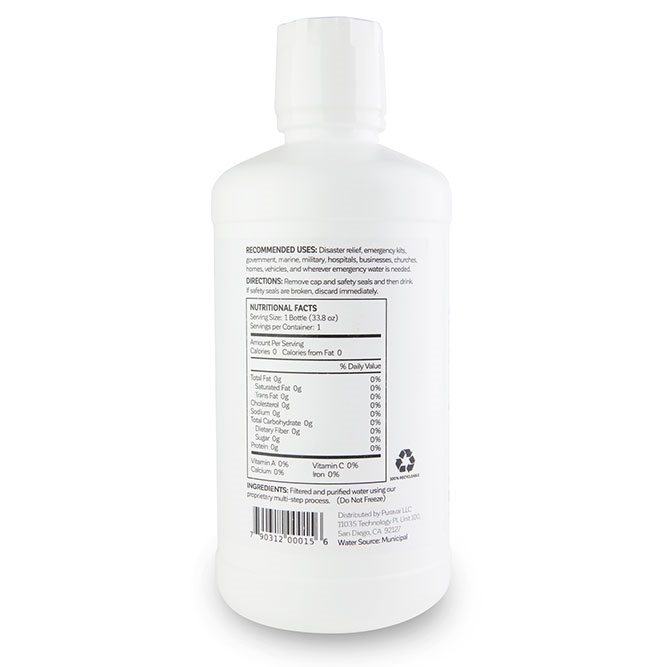 100% Recyclable: HDPE #2 bottles are able to be recycled completely. Instead of overwhelming landfills, our bottles get repurposed continuously.